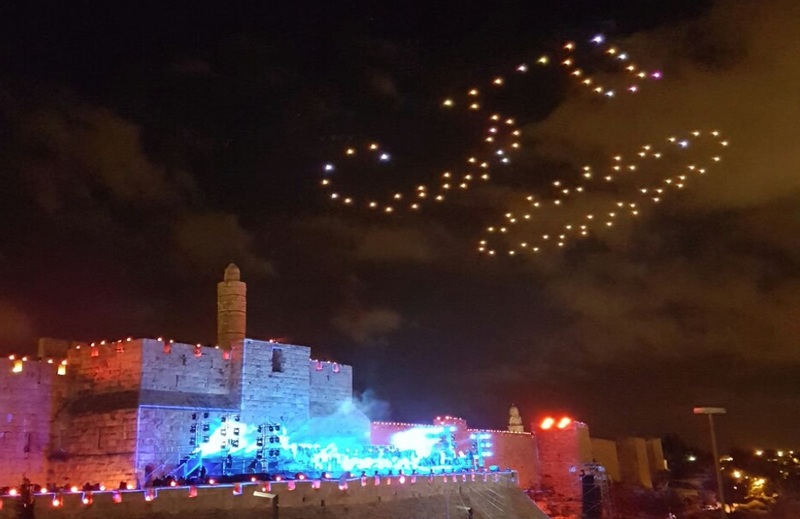 The 50th anniversary Jerusalem celebrations have just ended. We all knew this year would be significant being 50 years since Israel took control of Jerusalem, but I'm amazed at just how big the celebrations were. The Jews themselves were calling this the "Jubilee" - perhaps that is exactly what God intended. It feels like we're watching the fulfillment of Bible prophecy live on TV. What prophecy was fulfilled in this? Not so much a particular prophecy, as it is the further fulfillment of many, many prophecies about the second return of the Jews to Israel, the rebuilding of Jerusalem, and the flourishing of a country that was desolate for centuries. Amos 9:11, Isaiah 11:10-12, Isaiah 66:8, Ezekiel 36:22-28, Ezekiel 37:12, Ezekiel 38:8, Jeremiah 30:3-4, Zechariah 8:7-8, Zechariah 10:10, Ezekiel 36:11, Isaiah 41:18-20, and Isaiah 27:6, among others. Also, some have noticed the purposeful distinction between the 62 weeks and 7 weeks within the first 69 prophetic weeks of Daniel 9:24-27. If part of this prophecy had dual fulfillment, it is interest to note that 7 weeks of years would be a jubilee period and the context of the prophecy is the decree to rebuild the city. A decree was given in 1967 and also 1969. Another thing about today: Today is the Feast of Ascension. Also, I looked at Stellarium, and saw that Jupiter in its retrograde motion had today reached a little bit beyond the quadrangle in Virgo (which as we know is too small to contain the entire retrogade motion without "swelling" like a pregnant woman's belly). I think it's interesting that crossing the quadrangle border and the festival commemorating Jesus's ascension into Heaven happen on the same day. This is another unlikely coincidence, further cementing the rarity and potential significance of the sign. What significance is there, that the worlds oldest man is an Israelite? - He will be 120 in 2023, exactly one day before the year 2024 (as it relates to the possible final year of the tribulation). - Genesis 6: ‘My spirit will not strive with man forever…his days shall be 120’. And Noah was a witness to his people for 120 years while he built the ark. - Moses was 120 years old when he died, having ‘seen the promised land, but not stepping foot onto it’. - If Israel lives to 120, the day after he turns 120 (2023), will be the Jewish New Year (16 Sept 2023), possibly the final year of the Trib. God bless and protect Israel forever !!! So glad to see these celebrations. Praise be to God and our Lord and Savior Jesus Christ forever !! !